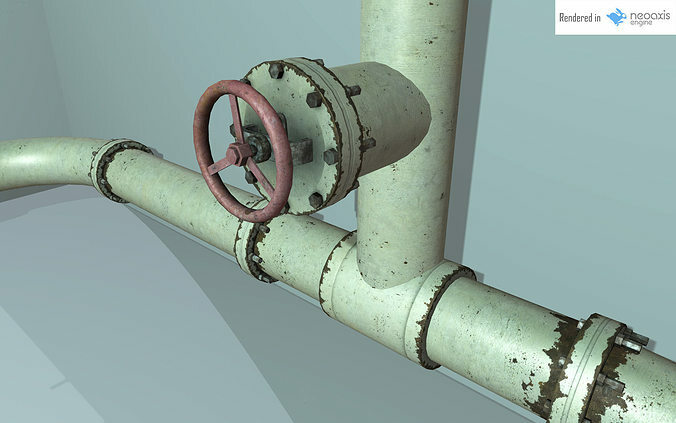 Industrial Pipe set 3D models Low poly model with high resolution textures, ideal for real time rendering. Give you the ability to create complex pipes system in a breeze! Source File of pipes is included in Both max and OBJ formats. (In addition of the FBX for unity) The caps are separated, allowing you to rotate them to get variations. 2 different types of caps. half caps also present, to reduce polycount when used against a wall. Unwrapped intelligently to reduce material usage, keep the ability to easily create new Pipe sections with existing textures as well as place rust where needed. Unique texture everywhere, no overlapping UV. Baked from Highpoly model. Pipe fixation object included on same UV, also baked from Highpoly.